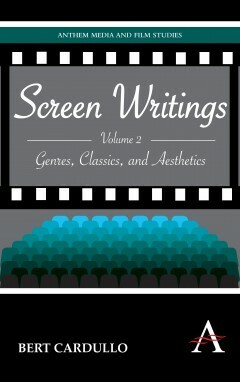 'Screen Writings: Genres, Classics, and Aesthetics' offers close readings of genre films and acknowledged film classics in an attempt to explore both the aesthetics of genre and the definition of 'classic' - as well as the changing perception of so-called classic movies over time. 'Screen Writings: Genres, Classics, and Aesthetics' offers close readings of genre films and acknowledged film classics in an attempt to explore both the aesthetics of genre and the definition of 'classic' - as well as the changing perception of so-called classic movies over time. Implicitly theoretical as much as it is unashamedly practical, this book is a model not only of text analysis, but also of the enlightened deployment of cultural studies in the service of film study. The book includes re-considerations of such classic films as ‘I vitelloni’, ‘Grand Illusion’, ‘Winter Light’, and ‘Tokyo Story’; it features genre examinations of the war film (‘Flags of Our Fathers’ and ‘Letters from Iwo Jima’), farce (‘Some Like It Hot’), the road film (‘The Rain People’), the New York-centered movie (‘Manhattan’), and avant-garde pictures that privilege narrative (‘3-Iron’ and ‘Eternal Sunshine of the Classic Mind’); and 'Screen Writings: Genres, Classics, and Aesthetics' concludes with a searching investigation of the rise of the New American Cinema during a tumultuous decade of social change - from the late 1960s to the early 1970s. Bert Cardullo is Professor and Chair of Media and Communication at the Izmir University of Economics in Turkey.